I’ve been over and over the words in my head, but it’s taken me longer than I ever thought it would to put them down. Somehow, it just didn’t feel right. Maybe the emotions were still too raw, maybe I didn’t feel I had the words to describe the experience, maybe it just felt like an overshare… but every time I thought about telling our story, I stopped short. Then Mark reminded me of something I’d selfishly forgotten. I was less prepared for our birth because the stories I read were largely positive. That’s not a terrible thing, really. I felt empowered after reading them. I felt that birth was a natural, beautiful process. Most importantly, I knew beyond a shadow of a doubt that I could do it without medication. And rightfully so. Had I had an average or even slightly longer than average labor, I’d have succeeded. Unfortunately, those positive stories didn’t fully prepare me for the reality life had in store. So, here is my birth story. Not because I’m proud… although, there’s a part of me that’s getting there. But because it’s a tough story to hear and to tell, and I hope, in some small way, it helps another woman make it through… because the end, in the end, is anything but unnatural, and still too beautiful for words. Two weeks and two days before Arlo’s due date, I woke up at 4am for yet another trip to the bathroom. Well, woke up is probably an overstatement… at this point in my pregnancy I could pretty much waddle there and back in my carpal tunnel braces, wheezing and drooling, without interrupting whatever paranoid pregnancy dream I was living at the time. In my daze, I heard an audible pop. I’m not sure what I thought it was… I was so sleepy and so many weird things were happening to my body already, I think I just chalked it up to puffy lady problems and laid back down. But about an hour later, there was no question. My water had broken, and my back felt like hell. I woke Mark and told him I thought it was time, and I’m pretty sure you could’ve seen our smiles from Mars. Of course, we hadn’t packed our hospital bag yet (damn procrastinators), so we started gathering things. Then Mark went out to grab some breakfast while I called our midwives. I described the back pain, the pop, and everything else I was feeling, and they agreed it sounded like early labor. They scheduled me to come in and confirm. I was still leaking when I went into the office at 10am, so much so that our midwife was certain before even conducting the test that my water had broken. I was also beginning to have light contractions — and celebrating every one, because though I knew I’d chosen an exceptionally patient practice, I’d still worried I might have to be induced if my water broke and they didn’t begin on their own. Our midwife told us to head home, get a good meal, a nap, and wait for the contractions to intensify… so we went out for Mexican, dragged our sorry asses to Buy Buy Baby for the last few supplies (because hey, no big deal, it’s just labor…) and then we did just that. During lunch, though, Mark says my whole demeanor changed. I was still happy, but quiet. And as we shopped, it got worse… the contractions were still manageable, but there was no ignoring them now. By 8pm, Spaceballs was over and my contractions were four minutes apart. A long, hot shower helped the pain, but there was no denying it now. I told Mark the baby was coming that night, and we set off for the hospital, fully expecting to meet our little one soon. The road to the hospital was quiet… the contractions were still coming strong, and my back hurt worse than ever. I was eager to get back to a warm shower or tub, and counted down the minutes until we’d be there. Unfortunately, I never made it to the tub. And the shower was farther away than I thought. Upon arriving at the hospital, we learned we’d done just about everything wrong — parked in the wrong place, gone through the wrong door, and apparently the preregistration I’d pored over was nil, because I had to do it all over again. 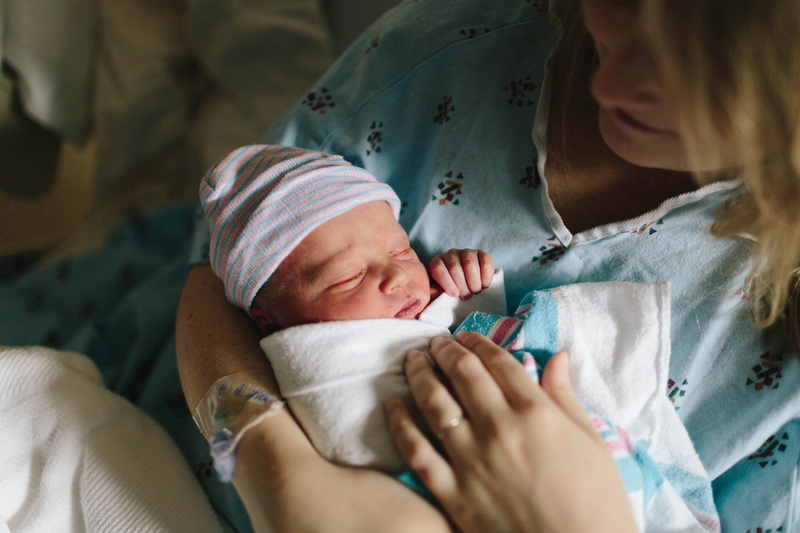 Sitting in the waiting room, my contractions began to slow, and by the time I saw a midwife, I was dilated to just two centimeters. They’d have sent me home at that point, but the bad news didn’t stop there. As it turns out, our baby was having relatively strong variations in his heart rate. Since they didn’t feel comfortable taking me off of the monitor, I was admitted. Worried as I was, once I settled into a room, things got moving again. Within an hour, my contractions were back, and when they checked, I was at six centimeters. 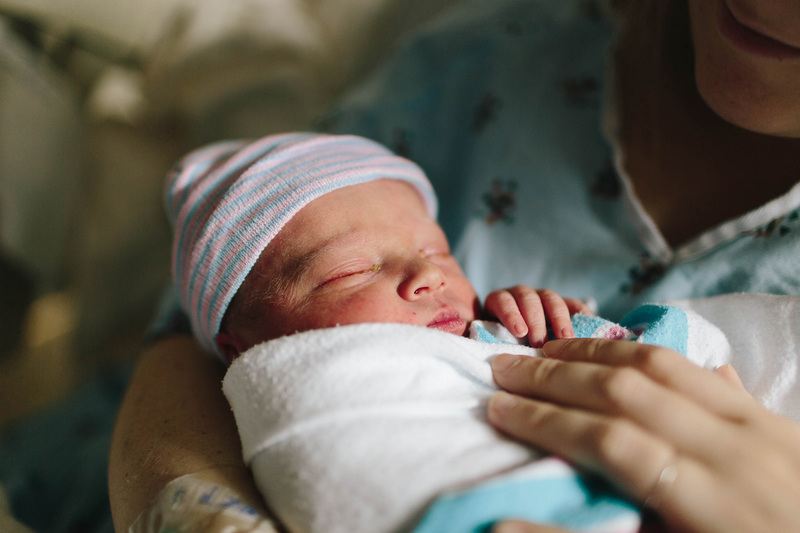 Even my midwife gave me a high five at that point… it looked like everything was back on track. Sadly, I still had to be strapped to the bed, since the only remote monitor in the building was taken and our baby’s heart rate hadn’t settled down. Eventually, after some hours of similar, but not worsening, decelerations, I talked my way into the shower. The hot water was a huge relief, but going in and out was torture… I shook like a leaf from the cold, but my contractions strengthened. I can’t imagine just how ugly it all was. But deep down, in the part of me that was still conscious of what the hell was going on, I was feeling positive. Especially when I threw up, because my Bradley class and every story I’d ever read had taught me that throwing up meant transition, and transition meant it was almost time to push. In the haze that followed, I remember throwing up two more times. I remember begging Mark to press harder and lower or higher or yes, just right there, on my back, because our sweet baby’s little (posterior) body was crushing my spine. And I remember how my high hopes faded with each check that came back at seven centimeters. 15 hours after that first high five, I was still just one measly centimeter farther along. At this point, I’d been laboring for 33 hours. I’d turned away multiple offers of pitosin, opting instead for sterile water injections in my back – a hopeful, natural pain reliever that works for some, not for me, and feels like shrapnel – but the tides were beginning to turn. I was falling asleep between contractions, and little by little, they were beginning to slow. The hours of labor were weighing on me, they were weighing on Mark, and they were weighing on our baby… who was such a trooper, I can’t even begin to say how amazed we all were by his strength. But we were all exhausted, and Mark and I were scared. If we weren’t able to change course, we knew we’d be headed to surgery. In the light of this new reality, in our second day of labor, our goals began to shift. There were many moments over the course of those two days where I wished for an escape. The pain was unbearable, and nothing seemed to bring relief. But in that brief moment at hour 33, I wasn’t looking for the door… I knew I had to take another path. I quietly told Mark that I never thought in a million years I would say it, but I had to rest. I didn’t know how many more hours it would be, even with pitosin, and I knew that if I continued to labor on my own, I wouldn’t have the strength to deliver our baby myself. I watched his eyes well up in recognition of the pain I was in, the most he felt I’d suffered in days. He knew how much I wanted to deliver our baby naturally, and I could see his heart breaking for me… but he knew I was right. He’d kept me strong for two days, now it was time to keep me, and our baby, safe. After nearly 16 more hours, Arlo Olson Heeley was born at 4:45am on January 21, 2016. The epidural allowed me to sleep and to hold a position that kept Arlo safe and, at the very last minute, allowed him to turn into the correct position for delivery. Our long labor had been partly the result of his unusual position, which allowed his crooked little head to dilate only half my cervix, leaving the other to fend for itself. Though I had to give up on my goal of a natural birth, I was able to achieve my ultimate goal of a vaginal birth 49 hours after having my water break. In a less patient practice, I’d have been sent to surgery at 24. 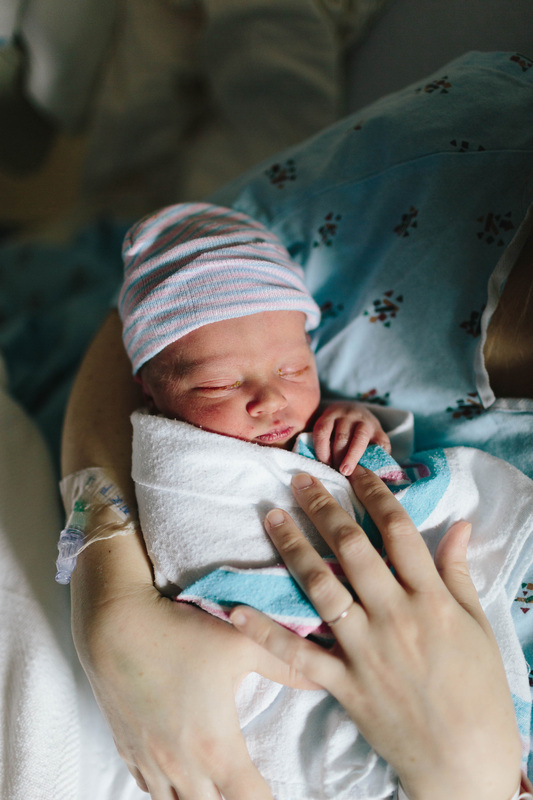 I was also able to let the epidural to wear off to a point that allowed me to feel my contractions, use my legs, and deliver our baby on my feet… an incredible silver lining in an experience that could have gone so many other ways. Our preconceived notions about labor and birth all went out the window that day. 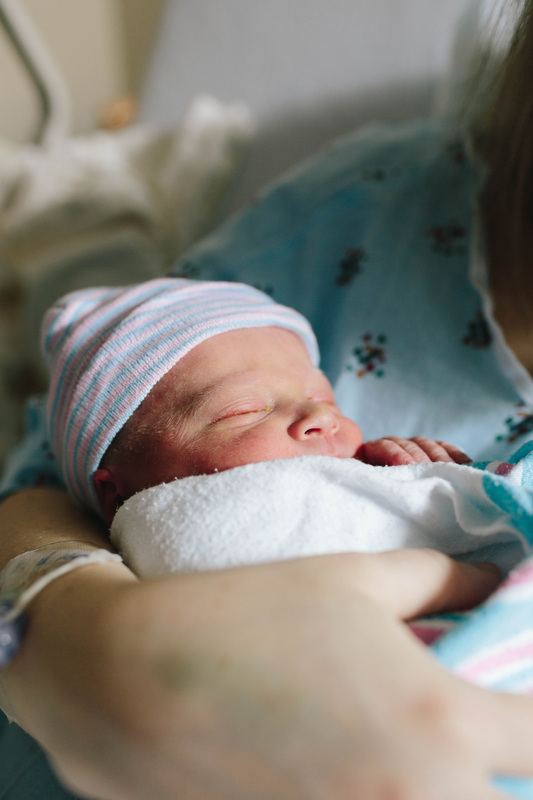 But nothing could have prepared me for the moment that beautiful, healthy baby boy was placed on my chest, as I fell back to the bed, exhausted and elated, feeling suddenly like I could do it all over again. 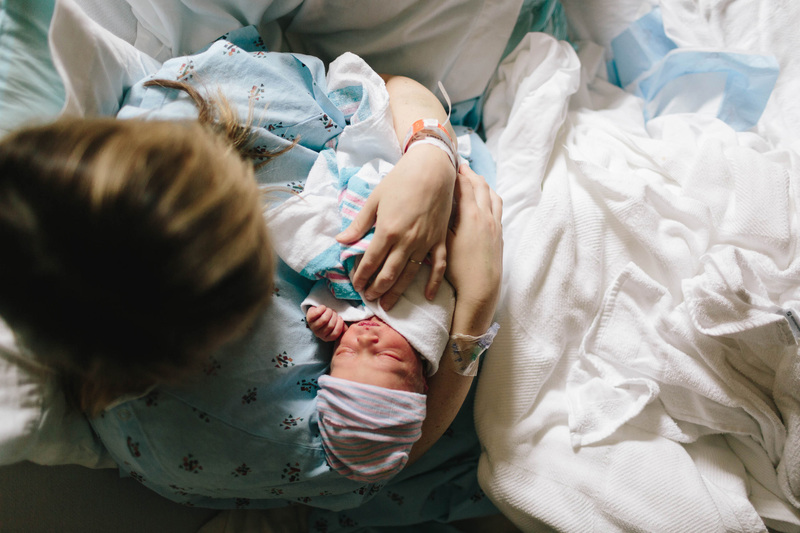 Looking back, I’m still not convinced that an epidural is right for every birth. I still worry that intervention of any kind makes a c-section more likely. And if we choose to have another, I’ll try once more to do it without medication. But I understand, now, that many of my rigid beliefs about birth were wrong. As much as I surrendered to the process, I wasn’t able to will it along. As much as I swore I wouldn’t take the meds, I never anticipated the set of events that led me to do just that. I can’t help feeling a little disappointed that things didn’t go according to plan. Maybe partly because, I realize now, I should have been more prepared for that possibility. But I am beyond grateful for the healthy, happy ending we were given, and I truly, in my wildest imagination, could not ask for more. This little person is perfect, and he’s ours. I’d do it over and over again for that gift. Coming from your big sis …..- a midwife for about 15 years – this is one of the most heartfelt, honest birth stories ever and I think it could help a lot of women. Thank you for sharing. I was honored to play a small part as your skype doula. Give my little nephew a big kiss.